69624-99A Fits '93-later FXSTS, '95-'97 FXSTSB, '96-later XL 1200C, XL 883C, '99 FXR models and '97-later FLSTS models. 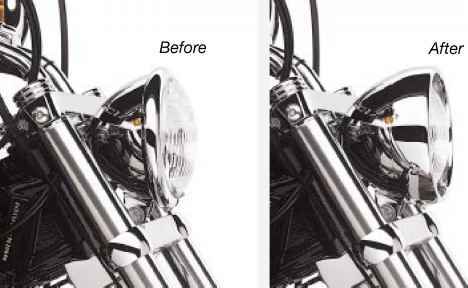 A must-have complement to the Headlamp Trim Ring, these chrome-plated passing lamp trim rings provide the same "Frenched" look for passing lamps. Function as a direct replacement for the Original Equipment trim rings. 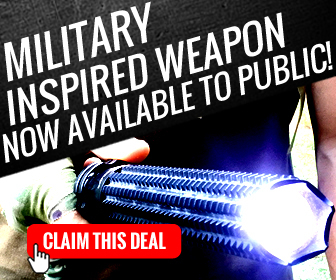 Includes chrome hardware. Sold in pairs. Patented. 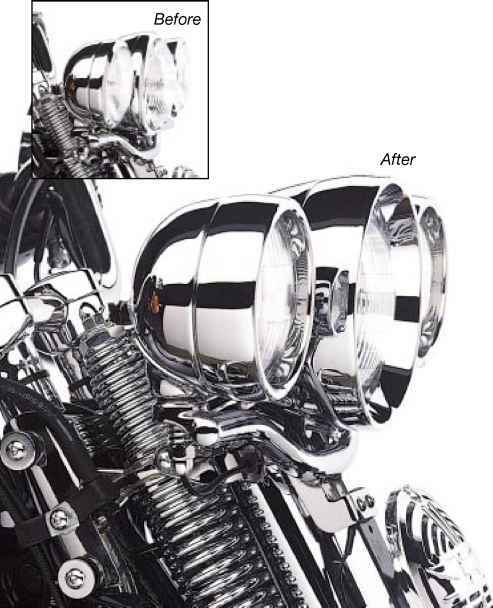 Complete the "Frenched" look with these Turn Signal Trim Rings. 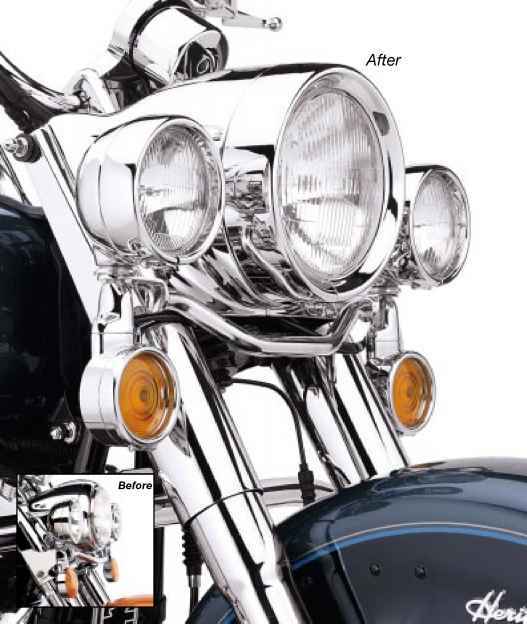 The chrome-plated trim rings match the styling of Headlamp and Passing Lamp Trim Rings 69622-99A, 69626-99, and 69627-99. Easy to install, the kit includes two trim rings. 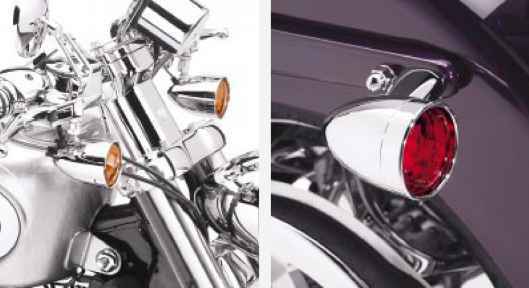 Touring and Heritage Softail Classic models, and Softail models equipped with Turn Signal Relocation Kit P/N 68413-99 or 68412-99.